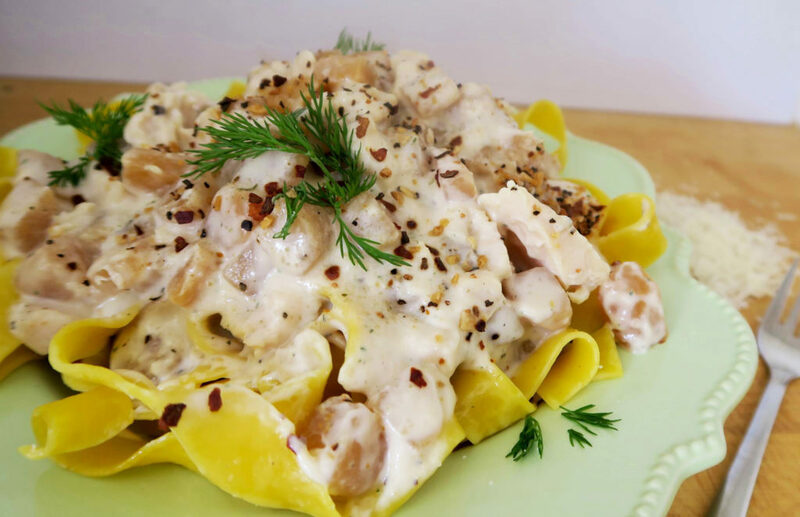 A thick & creamy Alfredo pasta. Heat olive oil to medium and sauté onion for 2 minutes. Stir in Alfredo sauce and Margaret Holmes Rutabagas; lower heat and simmer for 10 minutes. Remove from heat and stir in tuna and pizza seasoning. Meanwhile, boil pasta according to box directions. Drain and stir in rutabaga sauce. Divide between 4 warmed pasta bowls and top with fresh dill.